It is considered to be the oldest tactics or you can say technique which was very famous. These tactics were very well known and were employed until the year 2000. However, it could not continue because Google finally experienced certain content having a lot of keyword density. This keyword density was not related to or was not relevant to the users. For instance, if you are the head of a certain organization which works to sell packets of chips, but someone out of nowhere asks whether you sell chocolate chips or not? You just don’t start answering them in a way that can decrease the number of your customers for other chips and make them buy those chocolate chips. The use of a word in a content repeatedly is the same as defining a word briefly. This can get your name into the Panda Google algorithm which is mainly for low-quality content writers. This is related to all the pictures with over optimized descriptions. It is more complex than keyword density technique. This technique was mainly found by the crawlers of the search engine. Another factor of over optimization is the use of irrelevant keywords in order to increase the ranking of your website or your content. The use of irrelevant keywords in order to gain traffic is not going to help you at all. Google has the right to take your site down if you get caught in any Black Hat SEO crime like this. This can result in the loss of clients. The type of content or data which occurs on more than just one site is called duplicate content. Duplicate content can be easily stolen or copied from different sites. The time when the copied content did not do any harm to your work or site is over now. In the modern era if you copy the content from somewhere it can result in your own loss and you can lose your reputation and your site too as Google Panda has the right to shut your site down. At first, all this seems like a good idea because you would not have to put any hard work in it but it can result in the loss of your reputation and many other issues. Article spinning is a process in which the written content is rewritten in a way to change it completely. Why is it considered black hat? Because you are just changing the information already present on many different sites in more complex words by using different keywords. It’s better to write your own content rather than spinning the already present articles so as to maintain your position and rank as a good writer. Cloaking is considered to be a process in which two different articles are combined together to form one single piece of article. The use of this process is considered to be against the terms and conditions provided by Google. 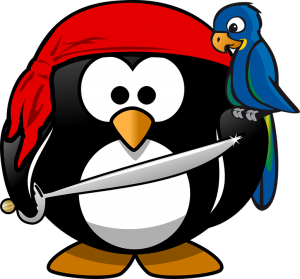 This can get you in trouble and Google Penguin has the authority to shut your work down. Some of the above mentioned black hat SEO tactics are the commonly employed ones. It is better to write your own content rather than copying the work from someone else.